If Capone has any sort of claim to fame it's as the author of AOL Girls Museum. A dubious measure, to be sure, but it beats his previously released material. The author's pre-AOLGIRLS modus operandi appeared to be editing relatively old maps. I couldn't gauge the level of artifice involved in Capone's Pit because ol' Scarface had apparently forgotten the source material. 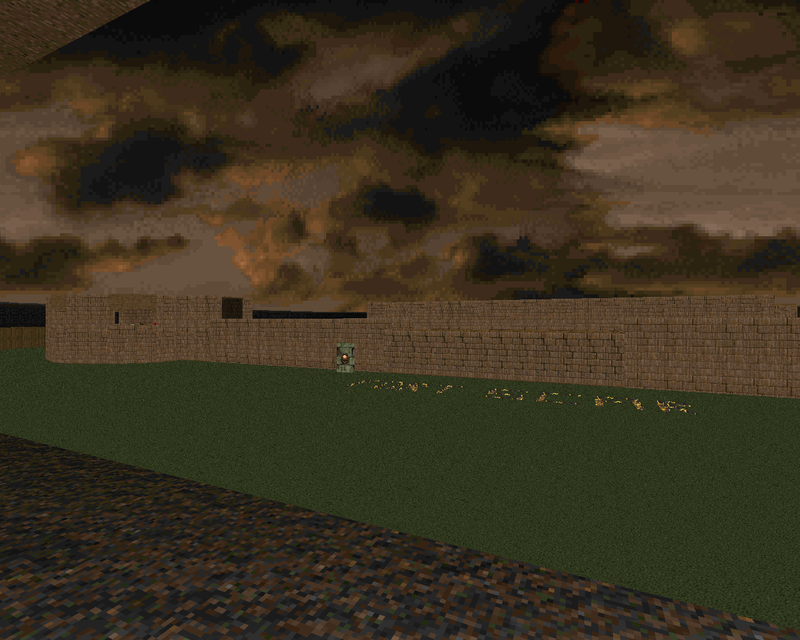 Fort Scar, on the other hand, comes from 1994's Fortress of Doom by Rylan Hilman. 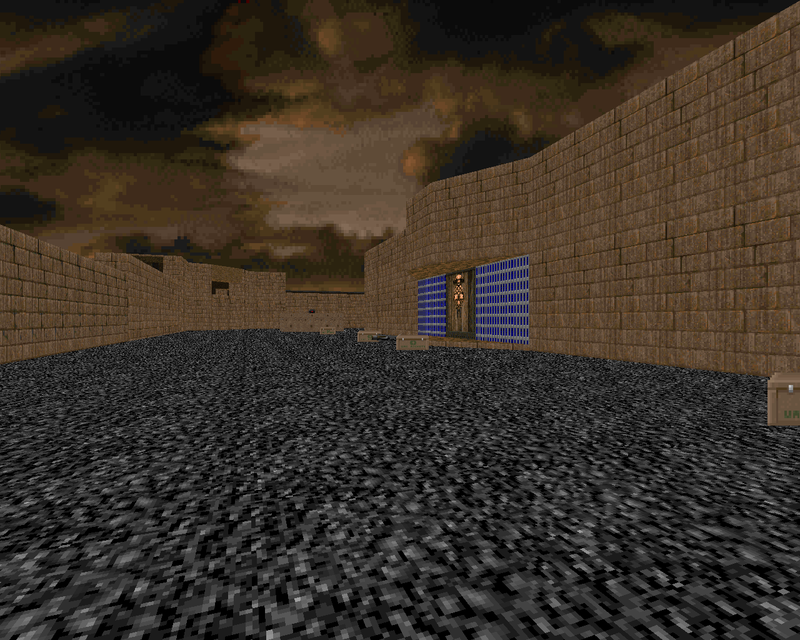 Both levels are MAP01 replacements for DOOM2 but this one was published in 1997 during the author's brief flurry of activity. Metallica fans may note the inclusion of a "Fade to Black" MIDI. PIT08 didn't really have much of a setting but Fort Scar shines a light on the author's handle and rechristens the original level as an old haunt of Al Capone. I don't know whether he had a particular place in mind - like the Nashville, TN Castle which was built by the gangster's bookkeeper - or if he just wanted to link Alphonse to the map. In any case you have been sent by the CIA to investigate suspicious activity at the old estate. If you wanted to seriously contemplate this adventure's spot in the Doom timeline then it would probably be pre-Hell on Earth since the existence of the CIA in the post-invasion New World Order seems farfetched. I'm glad that I looked at FORTRESS because I have a better picture of what Capone actually added to these levels. The short answer is not much. The geometry of the original map is functionally identical; it's a big castle in a hole in the ground and has four walls, towers at the intercardinal connections, and a keep with an extra-wide throne. The combat is the same, too. The battlements are patrolled by chaingunners; the towers are stuffed with arachnotrons; and pairs of revenants guard powerups on platforms in the inner yard. Even the monster placement in the keep is the same. 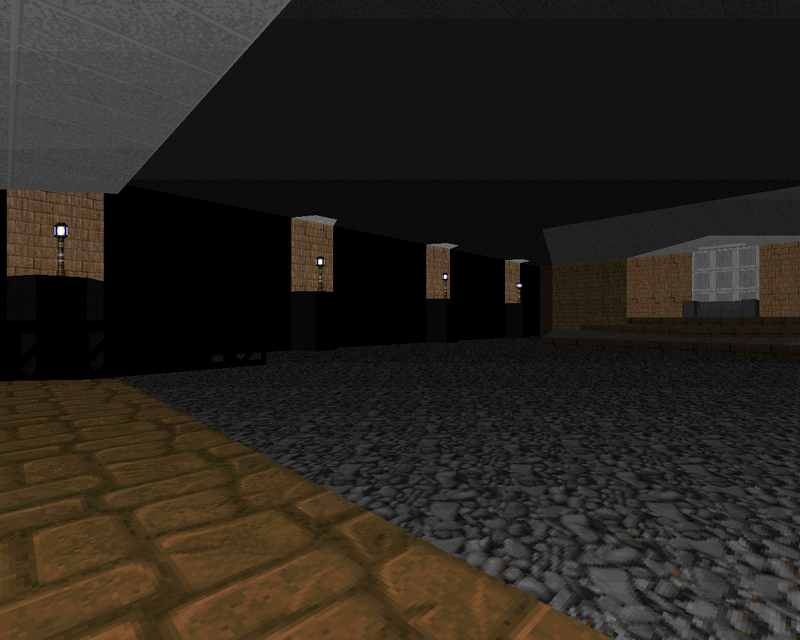 The only obvious initial change is a new texture job that makes the level look a little more realistic. As far as mechanical changes go, the most effectual alters the battlement walls so that only one of them can be lowered to access the inner yard. It's the one with a switch obelisk outside and the words FORT SCAR emblazoned on the ground. This limits your freedom and basically forces you to clear two squads of commandos but it doesn't make it any more difficult to sprint inside, grab the megasphere and rocket launcher, and then get to work. 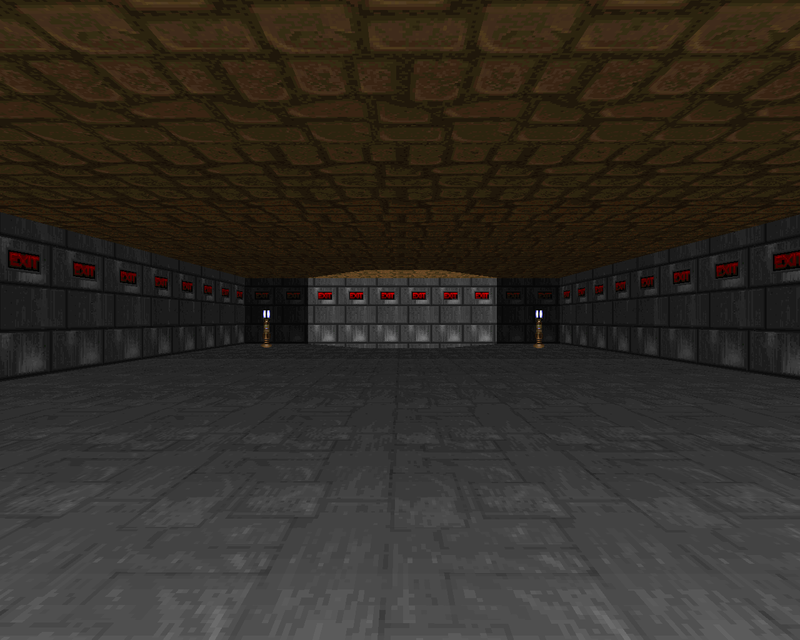 The other big change swaps the floor of the inner chamber from strong, damaging lava to harmless pebbles. 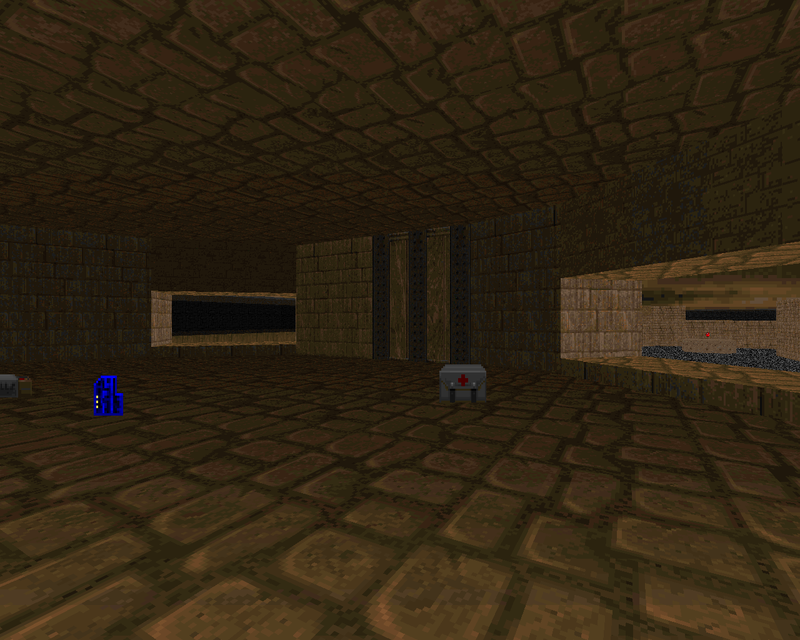 You might not even notice the last thing; it's a trick invulnerability sphere placed behind you at the start. I don't think that you can access it during normal play. It looks a bit "better" than the original material but I'm disappointed that Capone did so little to make the level his own and it colors my perception of the rest of his, err, remixes. It isn't any more recommendable than Fortress of Doom since the gameplay is pretty much the same so unless you're just dying to play ancient-looking PWADs then you can safely sit this one out.